How can I use ddrescue to recover data from a failing disk? It can happen due to a variety of reasons, like a disk failing while parity is invalid or two disks failing with single parity, a user having a failing disk with pending sectors and no way to rebuild it using parity, for those cases you can use ddrescue to salvage as much data as possible. To install ddrescue install the Nerd Pack plugin then go to Settings -> Nerd Pack and install ddrescue. Both source and destination disks can't be mounted, replace X with source disk, Y with destination, always triple check these, if the wrong disk is used as destination it will be overwritten deleting all data. Replace X with source disk (note de 1 in the source disk identifier), # with destination disk number, recommend enabling turbo write first or it will take much longer. After the clone is complete you can mount the destination disk manually or using for example the UD plugin (if the cloned disk is unmountable run the appropriate filesystem repair tool, it might also be a good idea to run a filesystem check even if it mounts OK) and copy the recovered data to the array, some files will likely be corrupt and if you have checksums or are using btrfs you can easily find out which ones, if not see below. Replace Y with the cloned disk (not the original) and use the existing ddrescue mapfile. Replace /path/to/disk with the correct mount point, all files containing the string "unRAID" will be output and those are your corrupt files, this will take some time as all files on the disks will be scanned, output is only displayed in the end, and if there's no output then the bad sectors were in areas without any files. There's an issue with Samba included with unRAID v6.2 or above that with some hardware configurations may give slower than normal read speed for Windows 8/10 (and related server releases) clients, my tests indicate that the HDD brand/model used is one of the main factors, write speed is not affected, Windows 7 clients are also not affected. Stop and re-start array for changes to take effect, Windows clients may need to reboot to reconnect. This last one may also improve performance for gigabit users in some hardware configurations when reading from user shares. - Cache:Prefer is the newest option. In general, it is now preferred over Cache:Only because it behaves the same but adds overflow protection. If you fill up the Cache drive, copying to that share will continue to a data drive, and not error out, as it would if marked Cache:Only. And if the Cache drive drops out, you will still be able to continue, using a data drive for the same share. Once the Cache drive is restored, then the Mover will move the share back to the Cache drive. - This is the typical Cache drive usage for large shares, to speed up writes to the array. The data will mainly be stored on the parity protected array, but writes will be at full speed to the Cache drive, then later moved at idle times to the array. - This is similar to Cache:Yes, but doesn't use the Cache drive, which is fine if you don't need the speed boost when writing files to the shares. - This is typically used for smaller shares or shares you want faster access to. - This is similar to Cache:Only, typically used for smaller shares or shares you want faster access to. But it has additional advantages over Cache:Only - data that won't fit on the Cache drive can overflow to the array drives. Also, if the Cache drive fails, the same share folders on the data drives will still continue working. It's also useful if you don't yet have a Cache drive, but are planning to get one. Once it is installed, the Mover will automatically (on its schedule) move all it can to the Cache drive. And if you need to do maintenance on the Cache drive or pool, you can move all the files to the array, and they will be moved back once you are done 'maintaining'. I have an unmountable BTRFS filesystem disk or pool, what can I do to recover my data? Replace X with any of the remaining pool devices to mount the whole pool, don't forget the 1 in the end, e.g., /dev/sdf1, if all devices are present and it doesn't mount with the first device you tried use the other(s), filesystem on one of them may be more damaged then the other(s). Note that if there are more devices missing than the profile permits for redundancy it may still mount but there will be some data missing, e.g., mounting a 4 device raid1 pool with 2 devices missing will result in missing data. If it mounts copy all the data from /x to another destination, like an array disk, you can use Midnight Command (mc on the console/SSH) or your favorite tool, after all data is copied format the device or pool and restore data. For a pool: replace X with any of the devices from the pool to recover the whole pool, don't forget the 1 in the end, e.g., /dev/sdf1, if it doesn't work with the first device you tried use the other(s). If it works check that restored data is OK, then format the original btrfs device or pool and restore data. Why do I see csrf errors in my syslog? Starting with 6.3.0-rc9 unRaid includes code to prevent CSRF vulnerabilities. (See here) Some plugins may have needed to be updated in order to properly work with this security measure. 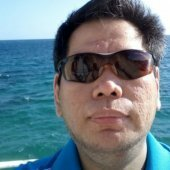 missing csrf_token - This error happens if you have plugins that have either not been updated to conform to the security system or the version of the plugin you are running is not up to date. Should you see this error, then check for and install updates for your plugins via the Plugins tab. To my knowledge, all available plugins within Community Applications have been either updated to handle csrf_tokens or they were not affected in the first place. If updating your plugins does not solve your issue, then post in the relevant support thread for the plugin. There will be hints on the log line as to which plugin generated the error. wrong csrf_token - CSRF tokens are randomly generated at every boot of unRaid. You will see this error if you have one browser tab pointed at a page in unRaid and on another tab you initiate a restart of unRaid. Note that the browser in question can also be on any device on your network. This includes other computers, tablets, phones, etc. IE: Close the other browser tabs. This error can also be caused by mobile apps such as ControlR checking the status of unRaid but the server has been rebooted after the app was started. Restart the application to fix. unitialized csrf_token - Thus far the community has never once seen any report of this being logged. Presumably it is an error generated by unRaid itself during Limetech's debugging period (ie: not plugin related), and should you see this you should post your diagnostics in the release thread for the version of unRaid you are running. EDIT: There is a possibility that if your rootfs is completely full due to misconfiguration of an application that you may see this particular token error. Why can't I delete a file (without permissions from root/nobody/Unix user/999/etc)? My VM/Docker created some files but I can't access them from Windows? Permissions are cumulative, there is no "deny" permission, so if one group grants permission, permission is granted. Other than root, nobody or members of users. the file b would be impossible to delete, since the write permission to the directory is missing. The file however, can be overwritten by anybody. SMB has two modes of access to the file. samba is the app providing the access. The problem begins when there is a VM, docker creating files. Lets say the VM is using the user backup. Lets say user alice is trying to delete the old backups from her Windows PC. Even if the shares are public, she would hit the error about requiring permissions from backup to delete the files. Why? Because samba will be using the user nobody to delete the files made by the backup user, and typically the file permissions won't allow it. The easiest way to correct the issue is to run Tools|New Permissions which pave over all of the shares and disks to have files with rwxrwxrwx permission and ownership by nobody. But now we don't want that since our VMs and dockers are, in effect, separate OS with their own users, which may or maynot coincide with the new attributes. This will cause all the permissions of the affected shares to be set to rwxrwxrwx which should normally fix the issues. In case you have more complex settings or requirements, feel free to discuss them in the forums as this requires case to case settings that might be applicable to your specific scenario. What Are Page Allocation Stalls? I set a share to private, and created a user with read/write permissions for that share. &nbsp;But on my Windows PC, when I try to navigate to that share, why does it say I don't have access when I enter that user name and password? I have software that requires using port 80. &nbsp;How do I change the HTTP port that unRAID uses? Why does ARRAY STARTED STALE CONFIGURATION appear at the bottom of the webUI? I'm having trouble with lockups / crashes / etc. &nbsp;How can I see the syslog following a reboot? I'm getting an error message " Failed to find user 'avahi' ". &nbsp;What do I do? I found a segfault error in my syslog. &nbsp;How do I fix it? My system is crashing randomly, and/or I'm seeing a little data corruption. &nbsp;How do I fix it? I lost my Unraid password. What can I do? Why is my GUI Slow and/or unresponsive? This problem has been traced to an anti-virus program suite and its settings in several cases. The link below will take to two posts which provide a rather complete descriptions of the problem and its solution. While you might not be running Avast, I have no doubt that other antivirus products will have a similar issue in the future. You should definitely investigate this area if you are having any type of problem with a slow, misbehaving or unresponsive GUI. EDIT: Keep reading in the thread as there is continuing investigation into the issues with Avast. I'm having trouble with lockups / crashes / etc. How can I see the syslog following a reboot? All 3 of the methods below will continually write the syslog (as it changes) to the flashdrive up to the moment the lockup / crash / reboot of the server happens. unRaid runs completely from RAM, so there is normally no way to view the syslog from one boot to another. However, there are a few different ways to grab the syslog from one boot to another. Method 3 Information is identical to Method 1, but requires you to reenter the command every time you want the information. Additionally, if this is not entered at the local command prompt or via a screen session, then closing the SSH (Putty) window will stop the logging from happening. What are "Page Allocation Stalls?" have a great day I love UNRAID! How can I monitor a btrfs pool for read/write errors? As some may have noticed the GUI errors column for the cache pool is just for show, at least for now, as the error counter remains at zero even when there are some, I already asked and hope LT will use the info from btrfs dev stats in the near future, but for now, anyone using a btrfs cache or unassigned redundant pool should regularly monitor it for errors since it's fairly common for a device to drop offline, usually from a cable/connection issue, since there's redundancy the user keeps working without noticing and when the device comes back online on the next reboot it will be out of sync, a scrub can usually fix it (though note that any NOCOW shares can't be checked or fixed), but it's good for the user to know there's a problem as soon as possible so it can be corrected. All values should always be zero, and to avoid surprises they can be monitored with a script using Squid's great User Scripts plugin, just create a script with the contents below, adjust path and pool name if needed to monitor e.g. an unassigned pool, and I recommend scheduling it to run hourly, if there are any errors you'll get a system notification on the GUI and/or push/email if so configured. Finally run a scrub, make sure there are no uncorrectable errors and keep working normally, any more issues you'll get a new notification. P.S. you can also monitor a single btrfs device or a non redundant pool, but for those any dropped device is usually quickly apparent. 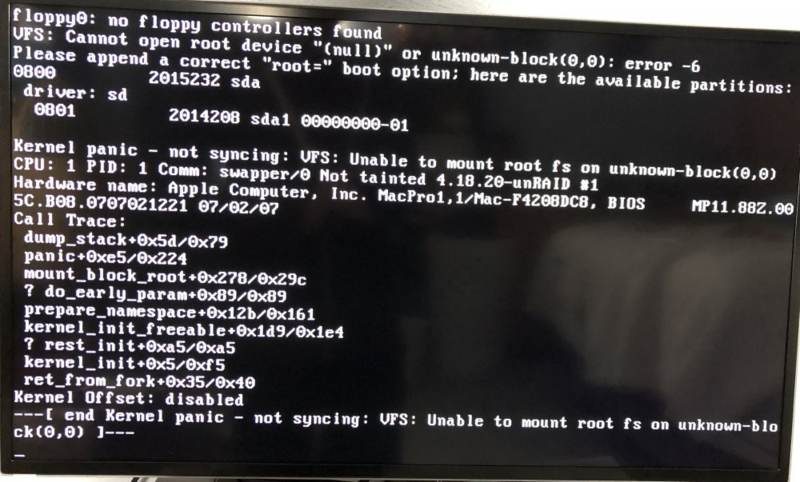 Why do I see "Cannot open root device null" and unRaid will not boot?